At Bloomfield Cooling, Heating and Electric, Inc., we believe in treating our customers fairly and providing the utmost in customer service and satisfaction. We believe in honestly and transparency when it comes to our customers, which is why we have been successfully servicing West Orange, NJ and the surrounding communities for 28 years. We can provide you with a free estimate for an entirely new system or offer you a repair service or maintenance quote. We are a full service provider of the top rated heating systems including Carrier, Crown Boilers and Mitsubishi ductless systems (which is a great alternative for the stately homes located in West Orange, NJ that are not conducive to the duct work that is required with other heating systems). When you call our office, you will immediately be impressed by our friendly, professional customer service staff members. After you set up a convenient appointment, one of our certified technicians will arrive promptly at your home for a free onsite evaluation and consultation to inform you of your options and the services we are able to provide to you. Learn more about or products and services at: www.bloomfieldcooling.com. We are currently offering a Heating Tune-up Special for $89.99 (regularly costing $149.99). Bloomfield Cooling, Heating and Electric Inc., offers repairs and maintenance programs that fit every budget and we warranty that you will not be caught in the cold of winter without heat. We are certified and insured to work on most heating systems. 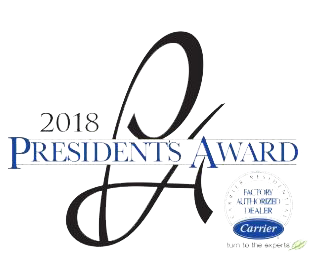 Our professional customer service representatives, certified technicians and licensed electricians have received the Gold Medal in the Best of Essex Reader’s Choice Award by the Suburban Essex Magazine Best of Essex Awards as BEST HVAC Contractor and we have also received the Super Service Award from Angie’s List 10 years in a row. Give us a call and set up a free onsite analysis of your home heating system. We will strive for your 100% satisfaction and the honor of having you refer us to your family and friends. Call us today at 973-237-0505.